My wife and I started ballroom dancing in 1999. During this period we have taken private and group dance instruction from several dance instructors (on the East Coast) on a regular basis. Ballroom dancing has been a recreational activity that we enjoy very much,and our goals have been simple: to enjoy ourselves and to continue to develop our dancing skills as our combined abilities permit. During the past five years while we have been onMaui,we have taken private ballroom dance instruction in both Latin and Smooth from Ms. Rita O’Connor. Like all of the dance instructors that we have worked with,Ms. O’Connor has highly developed dancing skills. She is both effortlessly powerful and supremely graceful when she is on the dance floor. Any student of ballroom dance will easily recognize the enormous talents that Ms. O’Connor obviously possesses. As we have learned first hand,there is not a simple correlation between dancing skills and the ability to magically transfer some of those skills to students. This,in our opinion,is where Ms. O’Connor stands above her professional peers. Some of our experiences and observations in this area include the following. Communication—Ms. O’Connor is very articulate and can express what she sees and thinks quickly and effectively. Both hearing and seeing are part of the dance learning experience, and what Ms. O’Connor’s students hear is on a par with what they see in her dancing skills. Technique—Ms. O’Connor routinely relates her instruction to underlying technique, which generally has broader application to all dances. For us, the emphasis on better technique has produced enduring benefit in our dance. Critical Dance Evaluation—Ms. O’Connor is highly perceptive in both observing and assessing first hand what her students are doing as they dance. Nothing escapes her watchful eye, and she quickly translates her observations and assessments into tangible instruction. Nips and tucks in frame, footwork, lead and/or follow, arm styling, and whatever else may need attention follow in quick succession. The results are sometimes unbelievable. Finally,Ms. O’Connor has a warm and friendly personality that serves her very well as she does her job. Not every dancer wants to hear some of what a dance instructor needs to say. That necessary spoonful of “dance medicine” somehow tastes sweeter when served up by Ms. O’Connor. I’m a 23 year old recent college graduate, and have never taken a class in dance. I know I enjoy dancing but never had anyone to teach me. I’ve always tried to figure it out on my own, but to no avail, often feeling awkward and thinking dance is too difficult to learn. I heard good things about Rita’s class and decided to check it out. I was a bit nervous, but the class environment was warm and fun! The other students were friendly and Rita was a welcoming and encouraging teacher. She was especially good at being able to effectively teach technique that moved my dancing from awkward steps to relatively smooth dancing. After taking Rita’s class I have some confidence with the cha-cha and am loving being able to feel like I can dance! I can’t help but smile and have fun, thinking this is why people love dancing so much! Thanks Rita! “We worked with Ron Montez (latin champion) and Buddy Schwimmer…In our decades of coming to Maui, there’s never been a dance instructor who met our standards…until you. You exceeded them all. I wanted to thank you for the top-notch job you did of preparing Steve and me for our waltz performance at Queen Ka’ahumanu. I think it would interest you to know that you’re the only dance teacher – in our 22 years of coming toMaui– that we have been willing to work with. As you know,Steve and I are form the San Francisco Bay Area. You may not know that we’ve worked with some excellent local dance teachers and some of international renown – like Ron Montez (7-time undefeated world Latin champion) and Buddy Schwimmer,inventor of the nightclub two-step and West Coast swing maven. In our decades of coming toMaui,there’s never been a dance instructor who met our standards…until you. We’ve been dancing for almost as long as we’ve been coming toMauiand have very high expectations. You exceeded them all. You are an excellent coach,an equally fine choreographer and you met our last requirement – you are fun! We look forward to dancing with you again…. Thank you so much for your warmth,skill and sense of fun. Much aloha! I have had the great pleasure to be a student of Rita’s for four years,attending Aloha Ballroom Dance Academy as well as taking private lessons with Rita at Private Image Dance Studio. Rita has nurtured my dancing skills and my self confidence as a loving teacher and friend; far beyond my expectations but to my great pleasure. I feel like I glide across the dance floor. In 2007 my partner,Keoki and I studied with Rita at Private Image Dance Studio,training for two Academy Ball Showcase performances and a national competition at The Hawaii Star Ball held inHonoluluHawaii. Rita’s dedication,patience and remarkable teaching skills polished our dancing all the way through competition to bring home four first place metals. Mahalo Rita for your time,dedication to dancing and professional teaching; you have truly changed my life. I was intrigued by ballroom dancing since the first season of Dancing with the Stars. The first few seasons I was most interested in the glittery,glamorous costumes. But as the seasons went by,my interest was not only in the costumes,but in the choreography and dance itself. Since a little girl,I always wished and dreamed that one day I could be a dancer,but until I found the wonderful Ms. Rita O’Connor,my dreams felt unreachable. I’ve only danced since mid 2008,but it wasn’t until the first few group and private lessons with Rita that I realized that with her help anyone’s dancing dreams can be fulfilled. Rita teaches not only with precision,perfection,and concentration,but her ability to teach with such a warm and open heart is truly stellar. She is additionally,amazing on the dance floor. In the slow dances she is so graceful and elegant and can hit those stunning,mind boggling lines so beautifully. But,nonetheless,when she hits the dance floor with a Latin routine she shows her audience what a strong and powerful woman she is. The last few words I will say about Rita,is that I really believe that she brings out the very best in her students. I would highly recommend her to anyone with aspirations of dancing. My husband and I have been taking lessons both through Aloha [Ballroom Dance] Academy and through Private Image [Dance Studio] for 4 years. We have also made the mistake of taking a few side classes with other instructors solely because of day and time offered. We learned very quickly that anyone can teach you dance steps, but only Rita can teach you to DANCE, and with STYLE, as well as the CORRECT WAY to do the steps. It is such a pleasure to learn to dance with a truly professional instructor, and looking forward to many more years of learning to dance with Rita. We just had the time of our lives with you! You helped make dancing what I always thought it should be – a magical feeling! Those few times that I could ‘let go’ and really enjoy myself with Rasheed, it was such a great feeling …. thank you for making that possible for both of us! I thoroughly enjoyed my private lesson with Rita. I was glad to be able to choose which dances to work on. She immediately saw the basic causes of my problem areas, and in her fun, easily understandable way demystified them. The delight of dancing with a professional like Rita flew by all too quickly. I highly recommend treating yourself to a private lesson if you’d like to comfortably experience significant improvement. In both the private lesson and group classes, I also appreciate Rita’s clear, detailed & professional instruction, beautiful example, and her philosophy about respect & safety. After 24 years of marriage my husband and I decided that there had to be more in life than Seinfeld reruns. In researching new,fun things to do,Rita O’Connor’s private dance classes were recommended twice – that had to be a good thing! So December 2007 we signed up for 12 Salsa lessons. In every class Rita was fun,professional and no matter how bad we were at learning new steps,she laughed with us and helped us along. My husband and I have learned enough salsa that we feel comfortable dancing with the Stars. In addition to giving us dance lessons,Rita gave us mini-lessons in various Latin dances and dance etiquette. We both look forward to more fun and technique with Rita! A sincere thank for teaching me how to dance: How to stay on my own track…to trust & follow the leader. I am so grateful for these amazing experiences and for your personal touch. I do miss dance and I do miss dancing your classes. I look forward to dancing again…soon! Rita brings to us the true spirit of ballroom dancing. She leads from the front. We’re inspired by her grace and skills on the dance floor to make our own best efforts. Rita is a gifted communicator. Her music is perfectly chosen. She has lesson plans to fit the needs of beginners and advanced students alike. Rita charms us with her sparkling personality and sense of humor. Rita is patient and attentive to the needs of her students; a keen observer and a skilled analyst. She rarely breaks between classes when the rest of us do, but rather provides individual instruction to all those in need. Rita possesses a flair for making learning fun and wanting for more. The mainland’s loss is Maui’s gain. Coming from New York during the Studio 54 era and being the daughter of a ballerina had its pressures – especially when it came to dancing. The music of those times are back and thank goodness for Rita O’Connor. Not having the skills of my mother, I needed lessons, but was uncomfortable taking a class. Taking private lessons with Rita in the Hustle and Salsa gave me the confidence to get back out on the dance floor. I chose private lessons because of the personal attention and the speed in which I could learn. Classes are good if you can keep up, but if you can have Rita one-on-one, it’s well worth the money. I believe I caught on to the steps faster with Rita as my partner than I ever could in a class. Her teaching skills are top rate. Her cues and direction are spot-on and she has the patience to keep at it till you get the step – without making you feel inept. She always had a trick up her sleeve to help me with the steps, and if I had trouble with any of the steps while practicing on my own, she was always available by phone or email. What I really can’t believe is that some one of her caliber is here on our little island in the Pacific and not on PBS winning the Internationals. Lucky us. I have been professionally performing the art of Ukrainian Dance to audiences abroad for over 25 years & have performed for such dignitaries as Her Royal Majesty the Queen of England the second, the President of the United Sates – Ronald Reagan, and the Prime Minister of Canada – Pierre Trudeau. I have taught the art of Ukrainian dance & ballet for over 25 years to over 1,000 students. I continue to perform & teach dance as the Artistic Director of the Light of Peace Performing Arts Society, Edmonton Alberta, Canada. Rita O’Connor is a highly regarded professional by her peers and me, both professionally and personally. I am very happy to provide a testimony recognizing her high level of professionalism and technical expertise. Rita’s teaching style is extremely effective at all levels. Her in-depth knowledge of ballroom dance styles permeate every aspect of her being, radiating an inner strength of wisdom & understanding that she easily passes on to her students. Rita has a remarkable way of teaching concepts using examples, demonstrations and analogies. Her pleasant and youthful demeanor put you at ease and provides a level of comfort that allows the student to do their best efforts at all times. I highly recommend Ms. O’Connor as an outstanding ballroom dance teaching professional! It has been my good fortune to have found Rita O ‘Connor as my Ballroom and Latin dance instructor. I had studied and taught other forms of dance in the past but always wanted to try ballroom styles. 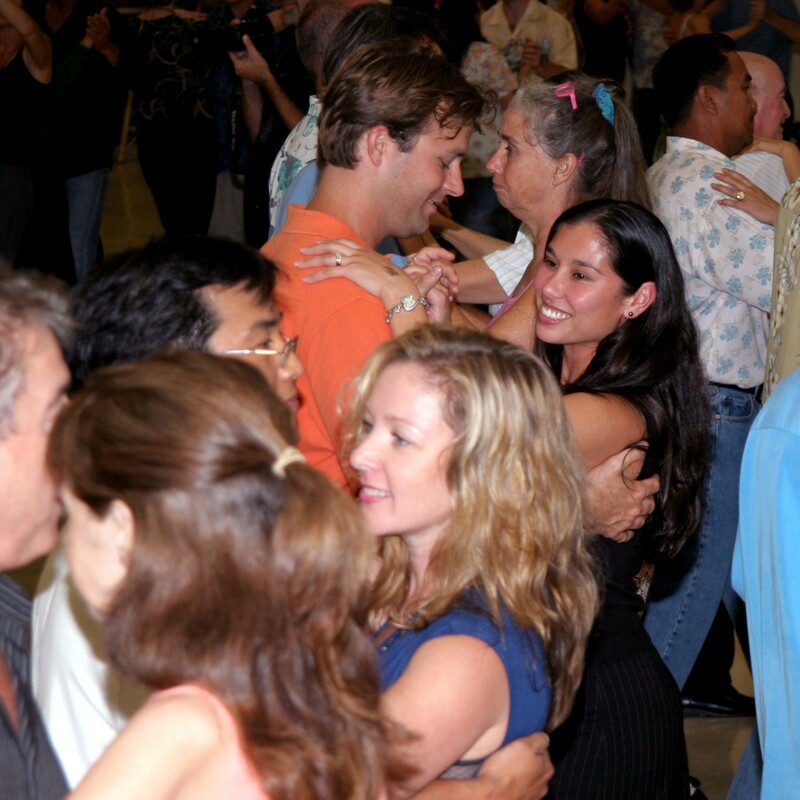 Due to her non -profit community dance program (Aloha Ballroom Dance Academy),I was able to experience ballroom dance through her large group classes that are open to all levels of experience at a minimal charge. For dancers interested in competing and performing, her Private Image Dance Studio offers private and small group lessons which provide in-depth study of any style you wish to learn. I have taken those lessons and have been impressed by her knowledge,patience and ability to give positive corrections to improve my dancing during each lesson. I have studied with her to prepare for group performance teams and solo performances and national competitions with dancers of all ages and abilities. Every one of us can achieve our dance goals because Rita knows how to individualize her instruction to fit the student’s dance needs. Whether it is an issue with balance,timing,expression,specific techniques,etc.,she can watch the dancer and immediately provide instruction to address the problem. She can do this equally well in all dance styles which is truly remarkable. Rita has inspired me through her work as a performer as well. I have watched her perform with amateur dancers and professional partners and her technique in all styles of ballroom/latin and skills as a partner are extraordinary. I recently went with Rita and other Maui students to compete at the Hawaii Star Ball national competition inOahu. For three days Rita never left our sides,coaching us,encouraging and educating us as we watched dancers from around the world. Even after the competition hours ended, she made herself available and even had dinner and danced with the seven of us each evening. I did not see any other teacher who offered that level of support to their students and we all placed first and second in all divisions. She is starting a dance program for youngsters so a whole new generation of dancers will be able to experience the joy of dance I have gained through my study with Rita. I am truly honored and thrilled to have the chance to dance with someone of Rita’s caliber and this small island is very lucky to have her. Rita is a real dance teacher in every sense of the word and it shows onMauiand at the national competitions,too! Rita’s a very good dancer and performer. She expresses the dance emotion well through her body and expressions. She has a professional attitude with a sensitive heart. It’s obvious she loves what she does…and dance is it! WOWEE! 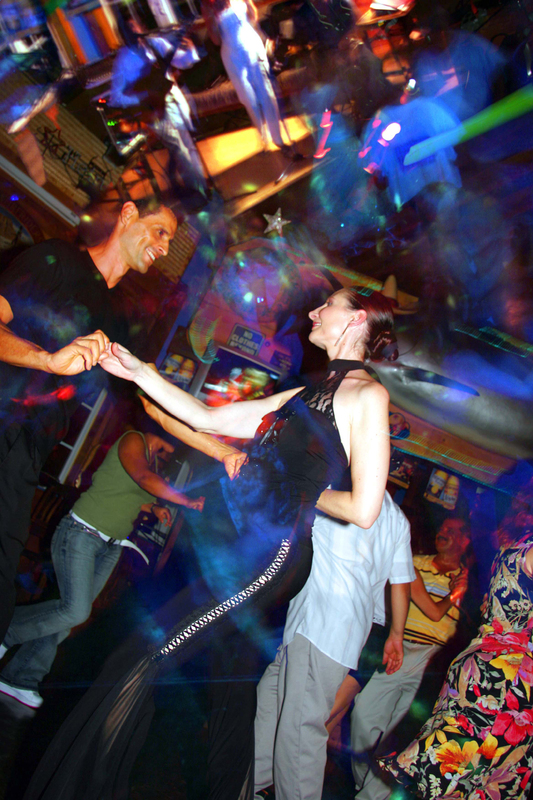 Maui you really are so lucky to have a top notch dance instructor in Rita…making dance fun,…less frustrating & successful!…read more to learn about the “drunken kangaroos”! I would like to thank you with a big Mahalo for the wonderful dance instruction, a warm Aloha welcome, and such a fun informative experience! WOWEE! Maui you really are so lucky to have a top notch dance instructor in Rita! She teaches the right stuff to make you look and feel like a polished ballroom dancer! Her technique classes are the foundation to really start making dance fun, so much less frustrating, and successful! Sometimes dance classes look like a room full of drunken kangaroos…NOT Rita’s classes! You’d be able to pick out a “Rita Student” on a crowded dance floor! Again thank you so much. I’d love to spend more time as a student of yours – maybe it’s in the future. Rita O’Connor has to be the most professional dance instructor that I have ever met. I have traveled the globe to take various dance lessons and I have never met someone that is so polished and refined as her. As a dance instructor (and performer) myself in classical Middle Eastern (belly dance),I know how difficult it can be to teach someone how to dance and I have stumbled many times for the right words,whereas,Rita just communicates so smoothly and makes everything so understandable. Her technique is amazing and it is such an honor to watch her perform. She is a true gem,strikingly beautiful and the epitome of sweetness. We live in a small town in Alaska. We had ballroom instructors for several months over the course of a couple of years until they moved. We continued to get together to dance with our classmates over the winter months; we even finished 1,600 sq. ft. of our basement specifically for ballroom dancing due to the lack of places to dance. We decided we wanted something new and started learning the salsa on our own;1st by DVDs and then from YouTube. We were getting the steps, but our technique was lacking in all our dancing. While visiting Maui we contacted Rita and took private dance instruction from her. Within two hours she helped us with our posture, our hold, the lead and follow as well as refined our steps. We feel much better about our dancing now. We will be calling her again our next trip to Maui. We highly recommend Rita to anyone who wants to learn to dance or just refine what they already know like us. Rita is very personable, but professional and a pleasure to learn from. When I moved toMaui10 years ago I started taking line dance lessons just to get out and do something different. I had never tried doing any kind of dancing in spite of the fact that my favorite movies were musicals with Fred Astaire and his many dance partners. These were routines. I had seen couples on dance floors dancing together,not performing,not realizing the man was leading the lady in various different steps. Cha Cha,rumba,salsa,bolero dances were as foreign to me as Mandarin Chinese. I took a class in Line dancing just to have something to do evenings. Turns out it’s mostly women with a few men giving it a shot. Little did I know at the time that a man showing up to dance was like a magnet. It didn’t take long for a lady to take me under her wing and point me in the direction of ballroom dancing. She should have known better but she took me to a class that was teaching intermediate samba. It was a disaster! I could have said this was way too difficult,but somehow I played along with her and we started taking beginning group classes. Eventually I got to the point where I could at least remember the step until I got home so I could practice. The fact that you can dance with a lady in your arms beats dancing by yourself hands down. I wished I had started sooner! Men should go out and learn to dance – it’s a great social skill and there are so many wonderful lady’s on the dance floor! I was hooked. The more I learned the more enjoyable it became. Fortunately for me and many others,a professional ballroom and latin dance teacher moved toMaui. This beautiful,vivid,vivacious work of art is Rita O’Connor! My dance partner and I take private lessons from Rita in addition to the group classes she teaches. She has an amazing talent for improving ones technique,frame,poise and has done wonders for our dancing! She has given me the ability to go on any dance floor with confidence,poise and pride. When my dance partner and I are out dancing people actually ask where we learned to dance. Not from Fred Astaire,but fromMaui’s Rita O’Connor at her Private Image Studio. We have been social ballroom dancing for about 10 years. Recently,our children have become very interested in learning to dance. Our 6th grade daughter and 9th grade son were very excited when Private Image Dance Studio offered lessons for children on Saturday afternoons. They were happy to submit some of their own music for the class. They come home afterwards,turn on some music and want to show us what they learned. After attending several sessions,they say: “I like the way that Rita takes the time to explain the steps in detail”,“When my feet won’t do the right thing,Rita will dance with me to help me understand”,“I can’t wait until the next school dance because now I will feel more comfortable dancing” Mahalo! Ernesto and I are thankful for your friendship. You know,it would have been much more difficult for Ernesto and me to meet without the gift of dance and,of course, you played a major role in dance for me. Would I have been dancing at Bocalino’s late on Friday nights and taking dance lessons at theKiheiCommunity Centerif it weren’t for you? No. So,it’s plain to see your part in the beginning of this relationship. Now,we feel very fortunate every time we see you gracing the dance floor and the room with your beautiful presence. Our relationship and marriage would never have come to be without your divine intervention! It’s a pleasure to be dancing and performing with Rita. I have learned so many new things and to be around a person with that level of energy is really contagious. Rita really lifts up your spirit. Thank you Rita! I wouldn’t have started dancing if it wasn’t for you. Thanks for taking time out of your day to teach me. Rita O’Connor is My Hero! She has an amazing talent. Rita can dance, teach, design her own clothes and is very kind. She lives in Hawaii and has her own studio. She goes to dance competitions with her class and often enters the competition herself. When I first saw Rita, she was up on stage. She was dancing like I’ve never seen before. She was great. My grandparents took a private salsa lesson with Rita that very next week. When they got back from the lesson, they were so happy and excited. They showed me what they had learned and taught me the basics. A couple days later, I took a private lesson with Rita that changed my life forever. I had a passion for dancing. Rita showed me pictures of all the costumes she had designed and worn in competitions. No wonder she won a lot she is so pretty and talented. When I came back for my second lesson, Rita was so polite and patient. She even let me come early because I was leaving Hawaii and had to catch a plane. I can’t wait until this summer, so I can dance with her again. That’s why Rita O’Conner is my hero! During our recent vacation toMauimy wife and I decided to take some lessons to help us with a dance routine we had agreed to perform for an upcoming charity fundraiser. Rita was amazing to work with and we learned so much with her. She was extremely patient and always found a way to get us to understand the different patterns and moves. What better way to spend part of your vacation than learning how to dance better? We enjoyed our time with Rita so much we are going to continue with her the next time we are inMauiand learn a new dance! Did I mention dancing is also good for romance? I was first introduced to Rita O’Connor through her classes at Aloha Ballroom Dance Academy by some friends of mine. Having been a teacher/coach myself and having taught large classes,I was impressed with her methods of imparting dance techniques to her large classes. At the beginning of the quarterly classes you could certainly tell the individuals who had not had much experience with dance. But by the end of the quarter,it was evident that they had turned into real dancers. After attending a couple of dance quarters,I approached Rita about taking private lessons through her Private Image Dance Studio. One of my longtime desires was to compete and do a performance in ballroom dancing,but I had never managed to have the time. After taking almost a year of lessons,I was ready to compete in my first national competition. Unfortunately,due to a medical issue I was forced to drop out a couple of months before the competition. After recovering,I resumed classes and private lessons for another year and finally had my opportunity. During the summer of 2008 my amateur partner and I performed in a group Quickstep showcase. That experience was exciting,memorable and rewarding especially due to the fact that the Quickstep was one of the dances I always wanted to attempt. Then in early fall I competed at the 2008 Hawaii Star Ball in Oahu where I received ten 1st and two 2nd placements dancing with Rita and my amateur partner. Thanks to Rita’s expert teaching I was able to reach that level of accomplishment. Rita has and I’m sure will always emphasize the basics – footwork,frame and posture. She has said time and time again,if the basics are in place then the more advanced steps will be so much easier. In achieving my goals,Rita always made it fun and I thoroughly enjoyed the experience. Rita,thank you so much for making my dreams come true and allowing me to check off another item on my “bucket list”. Mahalo Rita! Meanwhile,Judy started taking lessons with Rita O’Connor at the “Aloha Ballroom Dance Academy” and again asked me to join her. I was reluctant and once again humbled by my lack of ability. But,what was different was the friendliness and acceptance of the large “dance ohana” with many dancers encouraging me and telling me that they had all been where I was at one time. Rita exemplifies this “family” by welcoming all who join and she learns the names of her many students so we all feel included. More importantly,Rita is able to provide the sense of individual instruction,even with large classes (hundreds). She also provides individual help between classes for the questions that lead to big improvements for us,as a dancing couple. There is a focus at times on the success of dancers based on Showcases and competition in Oahuor other locations; and there should be. However,I wanted to share a success in another way. Judy and I were recently on the mainland during a family celebration which also included dancing! Soon after we hit the dance floor, the DJ commented that he had “seen some moves” on the dance floor and invited people up to dance the Swing. A few couples, as well as Judy and I went to the floor and the DJ began to play a six-minute medley of swing songs. After the first minute,only Judy and I were still on the floor. I would not consider East Coast Swing one of my best dances,but Judy and I were “HOT”. We danced for six minutes doing the steps that we knew and the focus of the entire place was on us – yet we did not notice because we were “in the moment”. Actually,we were just trying to survive and not get out of step. At the end there was much applause; people asked if we were “professionals” and commented that it was like watching “Dancing With the Stars”. (Rita probably would not have agreed,but I know she would have been ecstatic for us in the moment.) The downside was that everyone I asked to dance with after that apologized for not taking lessons,but I showed them a few simple steps and turns and encouraged them to look into dance lessons in their towns. It is wonderful how sometimes ordinary moments can be turned into spectacular moments because of the people who care for you and from the things that two people share in their lives. The time we have spent in Rita’s classes,individual lessons and social dances became the means by which Judy were not only recognized,but also raised to a level of “stardom.” I wanted to share our achievement because it is as valuable or perhaps more so than many of the other achievements Rita has helped others realize. I wanted to share our story because I knew that Rita would understand it on many levels and she has. Rita has been very open with her praise and comments on our improvement and has also been so generous with answering our questions during and after class. Although I have improved,I realize there is so much further to go and the journey will be rewarding with Rita. Rita,you are so right that the reward is in what we share with “the gift of dance” as partners and as our Ohana. Rita,we have not only become better dancers as a couple through your instruction,but we have also become a better couple through dance with your instruction! I am an amateur dancer dreaming to become a fine dancer on the floor. If you are serious about becoming a better dancer, my recommendation is to take as many private lessons from Rita as you can! I have taken private lessons (usually two a week) since March 2008 and by October 2008, I competed at the Hawai’i Star Ball national dance competition inOahu. With Rita’s coaching and encouragement I achieved all first places in all four entries! Since I have a physical challenge with my right leg’s mobility and sensation, every lesson was physically difficult and challenging for me. However, Rita was always patient with my progress, but never lowered her expectations of my capability. Rita’s belief in me and her excellent teaching was one of the many reasons I was able to excel. I can hardly emphasize enough about what an extraordinary instructor Rita is. Not only her exceptional patience, but also the way she analyzed my dance trouble spots and used many different approaches to break down the elements I needed to work on. I am truly indebted and appreciative of her imparting her high level of discipline to make me a better dancer. From my first private lesson with Rita, I have focused on achieving the right ways to dance without compromises or forming bad habits. As an artist, I am well aware of the importance of studying the correct methods and practicing often to master all the methods. Ms. O’Connor is an excellent professional with extraordinary compassion to support and radiate her highest knowledge and ability. She has enormous love and passion to challenge and learn new things. She has inspired others and spends most of her time giving to the people around her and the community at large. I am the luckiest dance student in the universe: I have Rita as my partner/leader since we dance Pro-Am at the competitions; she is my partner! Rita, thank you very much for all the “life lessons” you have given me through my dance lessons. I found joy in my life and regained confidence as a person through your teaching! I wish more dancers would take private lessons and experience the same profound improvement in their dancing, too! Rita has guided me all the way so that I could touch my dream. I am blessed! Rita O’Connor is an extraordinary professional dance instructor for students from beginning to advanced levels,and for group classes to private lessons. Rita’s private lessons are inspiring. Not only is she a talented dancer herself,but she has the ability to bring out the best in each student….encouraging and refining their skills. She tailors each lesson to the student’s individual desire,emphasizing styling,techniques and/or specific dance steps. Within the first 2 minutes of my initial lesson,she taught me one simple styling tip that tremendously improved my presence on the dance floor. Amazing! Personally,Rita O’Connor has opened a new world for me. Not only am I feeling more confident about my dance skills,I have been introduced to many wonderful friends of all ages who also enjoy dance. Rita’s ballroom dance classes are not only an enjoyable form of exercise,but more importantly,a great social dance experience. Rita O’Connor has been more than a dance instructor for me – she’s been a blessing. I started my Senior Project (Lahainaluna High School), with no idea of the topic I wanted and no idea who could be my mentor; that’s where Rita came in. Thankfully, I stumbled upon her flyer…and knew that my senior project was going to be learning how to salsa dance! Rita eagerly replied and I’m so glad she did! Rita is kind, generous and such an inspiration to a young woman, such as me. Not ever dancing, I went into classes nervous and not knowing what to expect. The moment I walked in the room, Rita made me feel differently. She’s patient and caring when teaching and that only made me want to dance more and more. Rita is not only an amazing teacher, but a wonderful dancer. Watching her glide across the floor, move ways I never knew the body could move and have that connection with her partner was a sight to see. Rita has taught me so much and inspired me to love something that I just happened to stumble upon. I’m so thankful for everything Rita did for me and I hope she enjoyed being a mentor as much as I enjoyed being her student. Thank you, Rita! I have worked with Rita in private lessons since moving toMauiand am very pleased with her attention to detail, technique & styling. I see what she strives for with her students and she doesn’t let correct technique or styling go by the wayside, no matter what level the student is. As a student who has learned correct technique & styling, I appreciate so much to have a teacher like Rita who will encourage her students to the level of their ability and to be the very best they can. She encourages them to believe in their ability to do more than they think they can. Her teaching results are great! Dance is a creative experience that involves mind,body & spirit. Learning how to dance starts with the basics to make you feel comfortable on the dance floor & can evolve to the complicated techniques that will make you an accomplished ballroom dancer. Rita is a treasure to the community because her extensive experience,dedication & love of what she does. She is able to encourage beginner dancers,teach interested students the intricacies of latin & ballroom dancing,as well as help advanced dancers reach their goals. Rita astounds me with her ability to answer every question about dancing with ease. Rita’s personal demonstrations allow the students to see how beautiful dancing should look. I have witnessed hundreds of women become more graceful & men become more confident on the dance floor because of Rita & her teachings! Maui’s dance world certainly wouldn’t be the same without Rita O’Connor & Brian. Their non-profit Aloha Ballroom Dance Academy brings so-o-o much to the community through Rita’s professionally instructed group classes and showcase performance teams. Private lessons with Rita through her Private Image Dance Studio are also amazing; I’ve been her student since 2003! She’s top of the world quality and we’re so fortunate to have her here sharing her passion! I can’t imagineMauiwithout her! I joined the Aloha Ballroom Dance Academy about 6 years ago and it has been a wonderful experience. It has challenged me more than I could have imagined and it has been so much fun. Rita is a gifted teacher with a lot of skill and patience. Dance has become a passion for me and it has been a wonderful place to meet people who share my passion. I never imagined being able to do a solo performance dancing the American Tango this past summer at our annual Ball with my dance partner and having my grown daughters with me in the audience. I would never have been able to do this performance without Rita’s patience and dedication to teaching. Let Me Hear the Music & I will Dance! I think I was born to dance. Music and dance make the perfect marriage. To dance with great technique or to please others is one thing,but whether I achieve that or not,dance I must!! To feel my body caress the music becomes almost heavenly! Even if I had to spend my life in a chair I’d figure out how to dance. And if there is no dancing in heaven,I’m not going! Through private lessons,Rita has helped me enrich my dance experience. She has encouraged me to stretch myself and asked me for more. Most importantly,she has worked hard to make me a good follower. I may not have achieved that 100%,but I have come along way. I’m a work in progress. I’m actually a very shy person,but I wear my mask of the “gregarious party girl” with utmost success! But,learning to dance well has given me great confidence. My life has change a lot in the last year or so and dance has given me direction and focus. It has been a vehicle to keep me active in the physical world as well as the social world. Through the gift of dance I have made many friends and my dance teacher is on the top of my list. We may not achieve a spot on “Dancing With the Stars,“ but we can all reach for the stars and dance,dance and dance! Thanks Rita,my teacher and friend! You never cease to amaze me with your effectiveness,efficiency,creativity and perfection! Thank you very much for the profound difference and contribution you have made in my life! For having me be the best Dancer that I can be! Thank you for your demand for perfection,for being extraordinarily conscientious,setting up a “profitable” (community-based) non-profit – the Aloha Ballroom Dance Academy — for Maui and having me look and be my best on the dance floor! Thank you for seeing wonderful possibilities for me to live into and realize. I hope I give the outside world a clear representation of all your teachings and many talents. I wanted you to know how much I appreciate your enthusiasm,professionalism and hospitality. There were so many epiphany (“light-bulb”) moments that I wanted to forget about going to work and try to find a place to practice right away. I had to settle for writing down everything I could remember and drawing diagrams to reinforce what we practiced. I realized how dreadful my form had been. Thank you for not giving up on me. As always,the information you imparted is priceless. It is always a pleasure to associate with people who have so much positive energy. Thank you very much for your teaching and encouragement. It’s a real pleasure to have you as my dance teacher. Rita,you are ASTOUNDING!!!! I shouldn’t be so surprised though! I think you are amazing that you have been able to create so much enthusiasm for dance and influence so many dancers onMaui. Three hundred students in ONE CLASS!?! That’s insane! I admire your extraordinary efforts and congratulate you on your wonderful success!!! really taken more of an interest in learning properly the basic steps and eventually the leads, but right now, he’s taking the first the steps. Yeah!!! It’s always a pleasure to watch you and Brian dance. You’re salsa is super smooth. took she explained in detail what we were doing, what we were to do and kept pointing out the corrections to look for. I learned so much from her classes that I was able to do yoga on my own and knew exactly what to look for or aim for in perfecting my moves. You offer the same thing with ballroom dancing and I for one appreciate it very much. We have enjoyed your lessons thoroughly and appreciate your teaching style and friendly expertise.